A recreation lounge room is unveiled for the students at the academy. 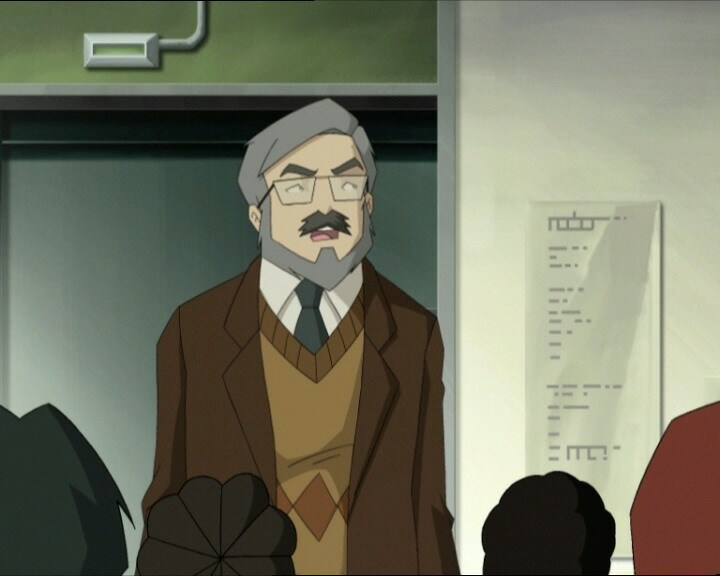 William’s body double, created by Jeremy to replace the Lyoko prisoner, is elected student manager. Unfortunately, this version of William has a major flaw: he is absolutely daft. 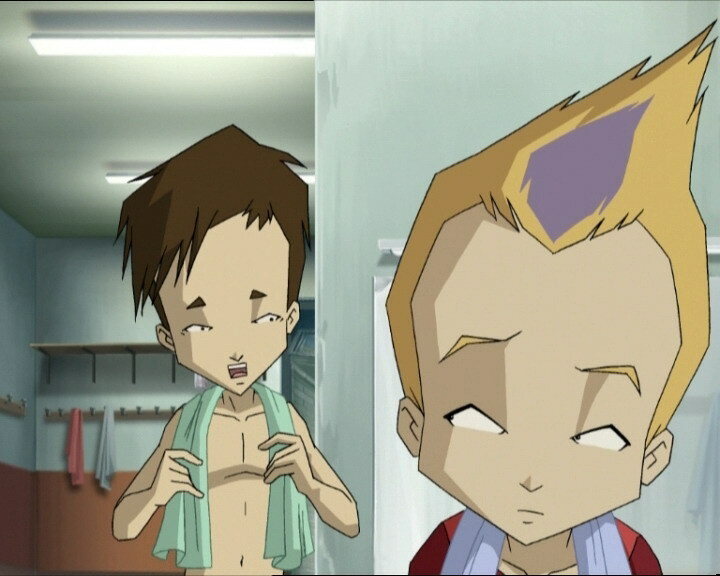 With the clone’s erratic stupidity attracting unwanted attention, Jeremy urgently runs a program to try and recover the real youth from Lyoko. But a bug stymies the program and Xana takes over the tower that controls William’s clone. It’s a morning like any other and the heroes are getting ready for the day. However it’s not what it seems: Odd Della Robbia had a precognitive dream. He predicted an epidemic spread by potatoes, prompting them to be banned… Truly dramatic indeed. Not believing one bit of the supposed premonition, Ulrich goes to Jeremy’s room to talk to him about being able to virtualise fries in the future. He finds, unsurprisingly, a sleeping Jeremy on his keyboard. He has prepared a program to bring William back and wishes to use it. The heroes meet in the cafeteria. Jeremy doesn’t eat anything because Odd took his portion. The principal then makes an announcement. 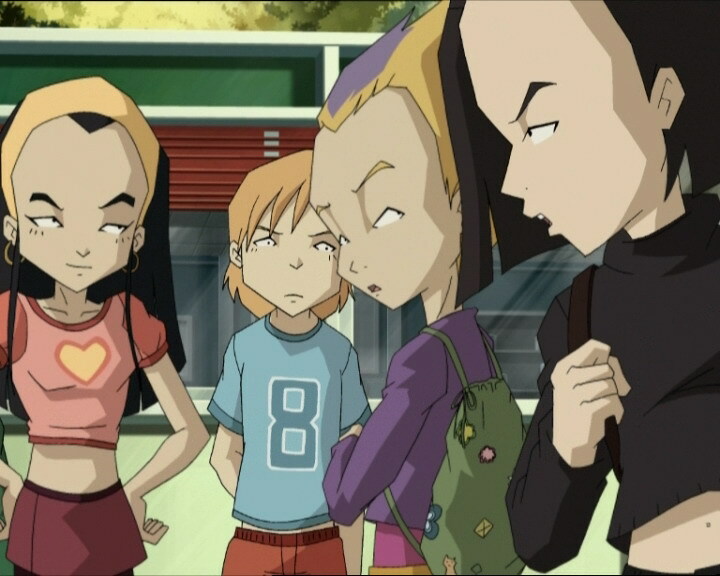 Odd believes that it’s a confirmation of the appearance of a new disease in potatoes, but it’s nothing much; the principal simply announces the opening of a new space for the students: a recreational room with foosball, a ping-pong table, TV and radio…all the facilities they could provide for the students. A question surfaces about who will be responsible to supervise the activities in this new rec’ area. The debate begins in the playground. Sissi nominates herself immediately, quickly challenged by Odd. He proposes himself because he’s already class rep. Sissi then reminds him that he’s hardly at school to be class rep. Yumi agrees, the fight against XANA takes priority. Maths class goes on as normal, except for Odd sneaking in one of his unfunny jokes (which ultimately may be proof that everything is normal). 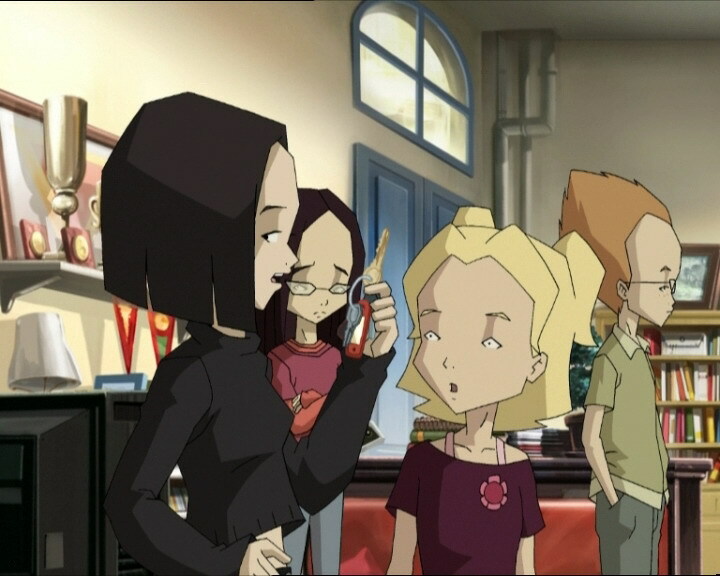 Aelita and Jeremy head for the factory to test the program while Odd, Ulrich and Yumi stick to William’s clone to limit the damage during the opening of the rec’ room, but the clone quickly shows its limits, taking every figurative expression literally. The opening of the room still makes the students happen, while Jim challenges everyone to table tennis! Odd is swiftly defeated and William decides to take the teacher on. Yumi and Ulrich grit their teeth. But this time, XANA takes full control of the tower. While Odd, Yumi and Ulrich try to get out of the rec’ room, William attacks Yumi. He knocks Jim out, then is hit by a chair thrown by Ulrich! The chase commences. The trio separates for a bigger chance of reaching the factory. Odd and Yumi make it. Ulrich is stopped by Sissi and flees through Kadic, onto the roof, followed by the superpowered clone! 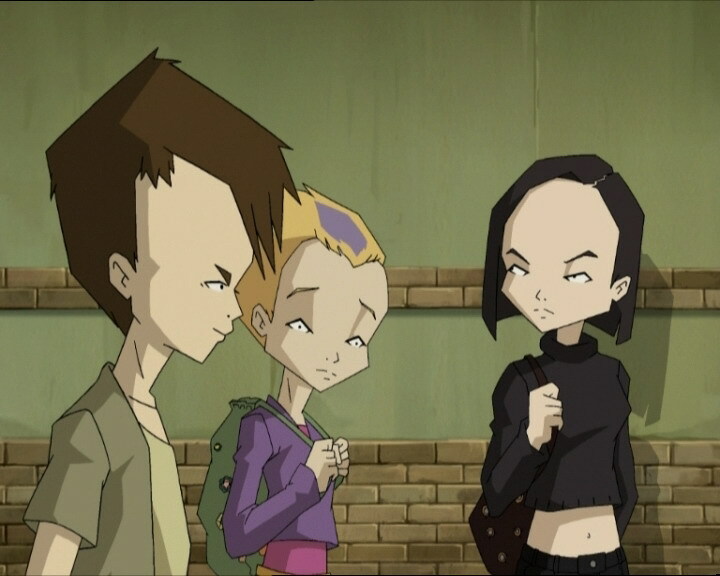 On Lyoko, a second plot twist presents itself. After getting rid of a Tarantula, Aelita sees William, being chased by three Krabes! He attacks them and destroys one: there’s no doubt about it! The program worked, he’s back to his old self again. Aelita heads over on the Overwing and gets rid of another Krabe. William defeats the final one. Aelita approaches and falls into a trap. William wasn’t freed from XANA at all, it was a trick. He knocks Aelita out, hops on the Overwing and takes her towards the Digital Sea. Odd and Yumi are virtualised. Aelita manages to escape from the Overwing. Yumi uses her telekinesis to levitate a rock and send it into the vehicle. A second rock is thrown at William, who disintegrates it with a swing of his zweihander. The combat begins, with weapons and fists. The two adversaries block, disarm and kick each other, but William has the last word and devirtualises Yumi with a powerful swing. 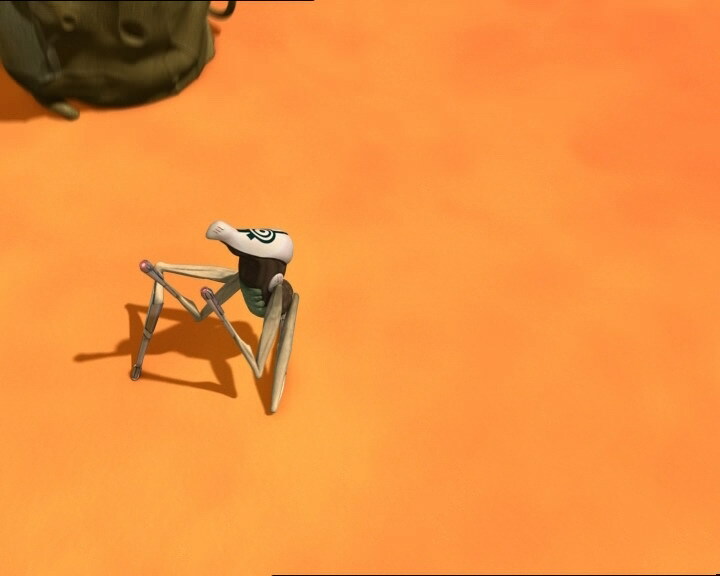 Meanwhile, Odd and Aelita are dealing with the two Tarantulas. Odd lures one away with the Overboard and destroys it by using the Desert terrain to his advantage. Aelita uses her wings and destroys the final Tarantula. 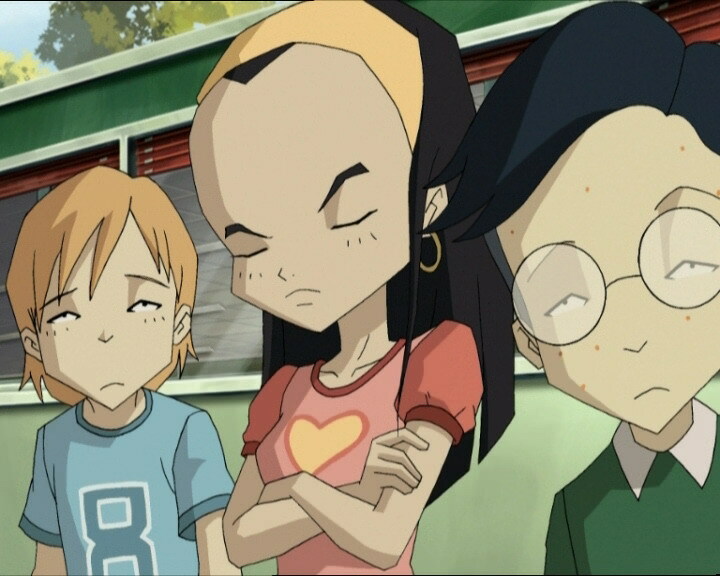 Their final worry: Odd’s fight lasted long enough to allow William to get to Aelita, furious. In the lab, Jeremy still can’t debug the tower. On Earth, a fight begins on the roofs of Kadic. Despite all its power, Sissi is a force to be reckoned with against the XANAfied clone, throwing roof tiles at its head. However, the two victims are held back by Ulrich’s vertigo. He slowly stands up to confront William. His pencak silat isn’t good enough; he slips and grabs on to the gutter. Trying to save him, Sissi also slips and knocks the clone down as well. In their fall, Sissi grabs Ulrich’s hand, while William falls to the ground. The heroes have won some precious time, but due to his amazing speed, William quickly returns. On the roof once again, he approaches, ready to make them fall to their deaths. 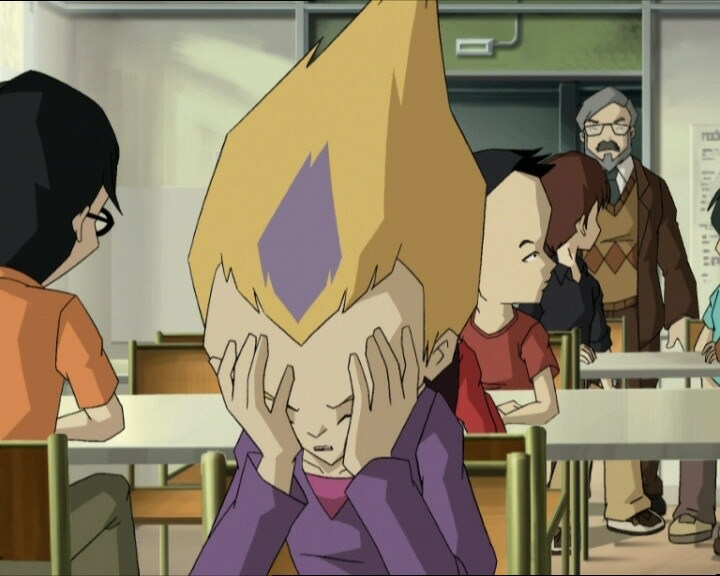 On Lyoko, Aelita is no match for William. He prepares to push her into the Digital Sea, but Odd sacrifices himself by ramming into William on his Overboard. Once on the ground, William devirtualises him immediately, Odd’s goal was achieved. 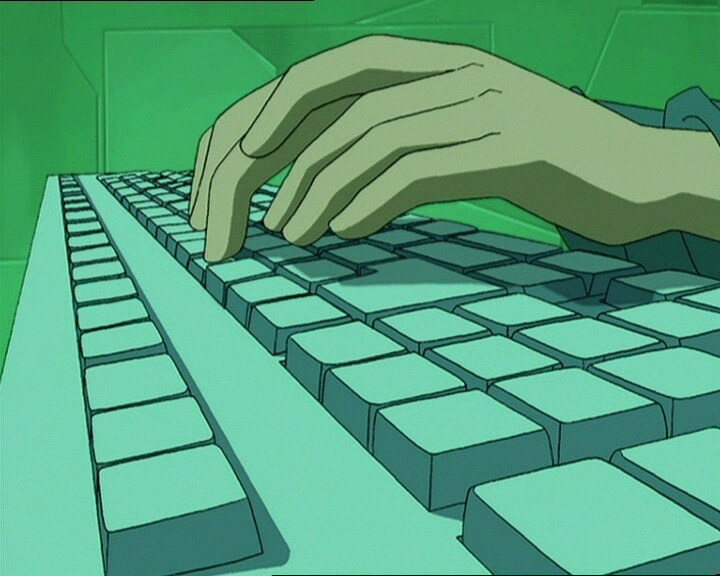 Aelita reaches the debugged tower, saving Ulrich and Sissi by entering the code. On Earth, the relief is short-lived: the gutter breaks. But the Return to the Past faithfully meets them mid-fall! Back on Earth, everything seems normal again. The clone is an airhead once again! The heroes, to avoid it being re-elected, give their support to Sissi becoming the rec’ room monitor. An idiotic reply from the clone brings the episode to a close. Everything is back to normal. - Return to the past to repair the damage caused by William’s clone, and to save Ulrich and Sissi from falling to their deaths, and to erase the memories of the students. - Discovery of the new student recreational or rec’ room. - First time that Yumi catches one of her fans with her arm. - Herb likes science shows. - Jim was ping-pong champion and for once, he’d rather talk about it. He was known by the name Killer Racquet. - Odd and Ulrich believe in prophetic dreams, Odd is bad at ping-pong. - Only episode where William rides a vehicle (the Overwing). - The colours of Odd’s pants are inverted in 2 shots in the sewers. - Jim’s band-aid is on the wrong cheek when he finds the ping-pong table. - The lines under Sissi’s eyes are missing when she cries that they are saved. - The halo of the tower on the title card is green even though XANA launched an attack in this episode. - During the virtualisation of Odd and Yumi, the wire to Jeremy’s mic appears on his ear. - The door to Jeremy’s room is blue instead of grey when he enters to get his computer. -Second time that a Krab uses its belly laser (first time was in episode 35 “The Chips Are Down”). - The tower generating William’s clone was changed. - New allusion to Paco the King of Disco and to Dr Schrank. 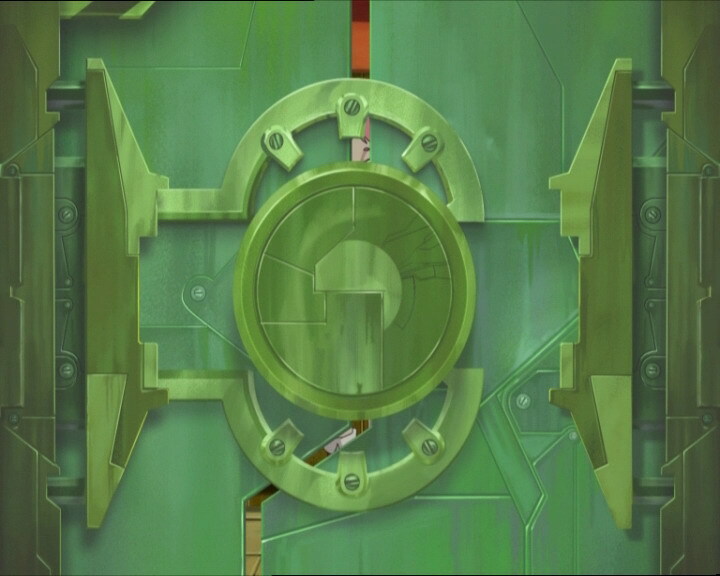 - Like in episode 67 “Double Take”, Jeremy uses the energy from Sector 5 to give energy to the activated tower that XANA wants to steal from him. 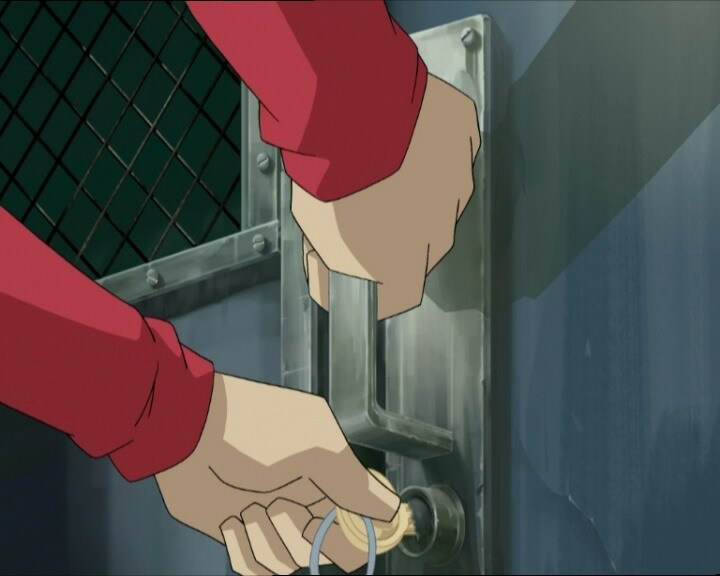 - This episode seem to indicate that Odd is capable of controlling the Overboard even when he isn’t riding it. In fact, it only moves during Odd’s fight against the Tarantula and just at the right moment for Odd’s acrobatic feat to destroy the monster. Since Jeremy was completely busy dealing with the tower that manages William’s clone that was being controlled now by XANA, it would have been impossible that Jeremy caused the Overboard to move and not Odd. This can be observed in other episodes as well, and with the Overwing. - In maths class, Mrs. Meyer is teaching the students about the Thales' theorem. This theorem calculates the longest side of a triangle through cross multiplication. This and the Pythagorean theorem are the main theorems taught in the 4ème and 3ème levels of French education. Ulrich: You’re not sick, are you, Odd? Usually you start the day singing something from Paco the King of Disco. Odd: I dreamt about a deadly epidemic that was transmitted by potatoes meaning there were no more french fries or mashed potatoes for lunch. Do you believe in nightmares like that, huh? Ulrich: Absolutely. But don’t worry, if you ask Einstein nicely, he’ll program you some virtual fries. Odd: Food is sacred, Ulrich, so no jokes, ok?! Ulrich: Hey, Jeremy, forget you had a bed? Rosa: You’re too late! You can’t have seconds today! Jeremy: But- I haven’t even had firsts! Rosa: You did, Jeremy! Odd Della Robbia said you gave him your portion! Ulrich: Well done. No sleep. No meal. Nothing like living a healthy life. Odd: What’s wrong? Ulrich told me that you were skipping breakfast. It woulda been a pity to waste a good meal. ...You want half of my banana? Mr. Delmas: Your attention please, boys and girls. I have an important announcement to make. Odd: That’s it. My nightmare’s come true. Goodbye potatoes forever. Mr. Delmas: This afternoon after class we will have the grand opening of the recreation room you’ve all been waiting for. Odd: There’s no epidemic? Long live french fries! Yahoooo! Milly: But we’re trying to elect a rec room monitor, Jim. Jim: You call all this screaming an election? We’re gonna do this demigraphical... demicrackically... We’re gonna vote, ok?! You! And you! Over there! Now let’s see... Fiquet, Leduc, Dunbar, over here too! William #2: Huh? Is that me? Jim: With two votes more than Elisabeth Delmas, the winner is... Dunbar. William #2: Yaaah I won! Does anyone know what I won? Milly: William, how about a word for the Kadic News? Some of the kids think you were elected, because you’re not part of a group. Do you think it’s a victory for democracy? William #2: Uh, Democracies? Who’s he anyway? I thought it was me who won this time. Ulrich: I hope it works, Jeremy, cuz the one we have now is about as brilliant as Kiwi. Odd: Hey, my dog is very, very intelligent, so there! Mrs. Meyer: Odd, do you want to add a corollary to Thales' theorem? Odd: What collar, ma’am? Uh, no, my dog doesn’t have any fleas. Uh, I mean I don’t have a dog or any fleas either. Jim: Whoa! Ping-pong! My favorite game! 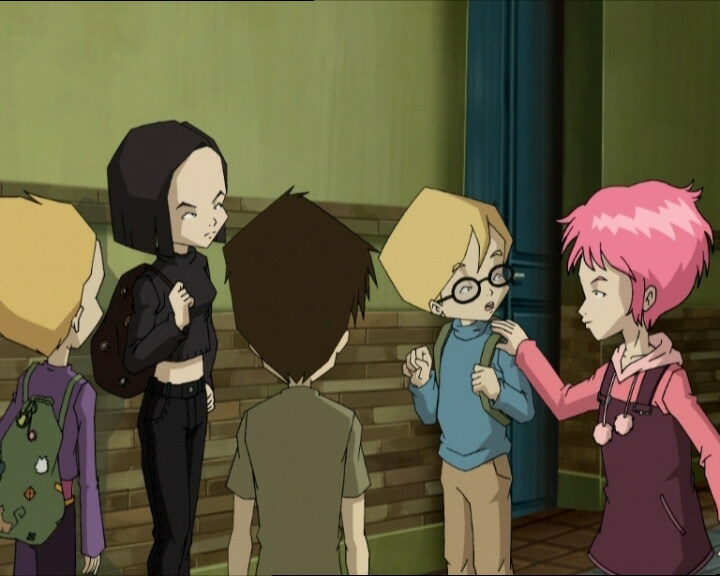 Aelita: Jeremy, William’s coming back! I just can’t wait! Yumi: Hey, don’t waste his time. Uh, a monitor should step back from things like that. William #2: Step back? If I do, I’ll bang into the wall. Jim: I was interstate champion when I was young. Why don’t I tell you why I used to be called the Killer Racquet? Odd: Uh, thanks, Jim, maybe some other time. Jim: For once, I’d rather have talked about it. Jim: Ah! Dunbar! Don’t you know what ping-pong’s all about? Herb: Why don’t you switch over to one of the science channels, huh, Sissi? Herb: Really? You mean that? Sissi: What do you think, nerd? William #2: Killer Racquet, was that it, Jim? Well, before I’m finished with you, they’re gonna call you Clumsy Racquet. Ready? Jim: Finito! Out! Basta! Yours truly big Jim the Killer Racquet strikes again! Sissi: What’s gotten into William? Why did he turn into Doctor Schrank? Ulrich: I’m the one he wants. You’re ok.
Sissi: Ulrich, don’t leave me! I beg you, please! Ulrich: That’s all I needed... C’mon, hurry up. Aelita: You’re back at last! That’s great! 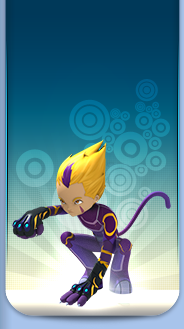 William/XANA: Good to see you again, Aelita! Jeremy: Ulrich’s not with you? Odd: He's playing the clown with the clone. Ulrich: Oh no. Why me? Odd: Hop on, princess, and stand clear of the closing doors! All aboard! Sissi: Hands off, William! Don’t you touch my Ulrich! Ulrich: Sorry to say this, Sissi, but you’re not as light as you say you are. Odd: Sorry, William. I forgot to hit the brakes. Ulrich: I’m not so sure of that. Sissi: It seems to me that as the principal’s daughter, I’m the obvious choice. Odd: That’s true. Now that’s a great idea. Ulrich: Yeah! We need somebody who’s unselfish and never thinks about herself. And Sissi really fits that description. Ulrich: We just elected Sissi monitor of the rec room. Jim: You did? But I thought you’d choose somebody like Dunbar. Yeah, right, I could see him. William #2: But how could you not see me? I’m in front of you. Odd: Hahaha! That William’s such a comedian! Haha! Ulrich: He must be the funniest kid at Kadic. Hahaha! Yumi: It’s nothing. Come on. Let’s go to history class. Aelita: Well, the copy’s all we’ve got. Jeremy: For now, anyway. It’s back to square one. I’ll bring back William one day. I swear I will. Script unavailable for this episode.